Because of its mobility, a crawler loader can be more versatile than a hydraulic excavator, said Chris Schaub, product consultant of crawlers at John Deere Construction and Forestry. Rough and tough. Stable and highly maneuverable. Always does the job. Those are the qualities contractors have come to expect from two machines that are ubiquitous on any construction site: bulldozers and crawler, or track, loaders. These rugged pieces of equipment are designed to handle dirt, rock and timber loads with relative ease, and their evolving technology has made them simpler and more comfortable to operate. For decades, dozers and track loaders have been the backbone of the earthmoving industry, highly regarded for their versatility and reliability. Both utilize stabilizing tracks that allow them to maneuver across often difficult terrain as diverse as rocky mining sites, steep hills, thick forests and shallow swamps. Despite a similarity in how crawler loaders and dozers are built, there are clear differences in how they work. For one, a loader uses various sized buckets on its front end for lifting and hauling materials. 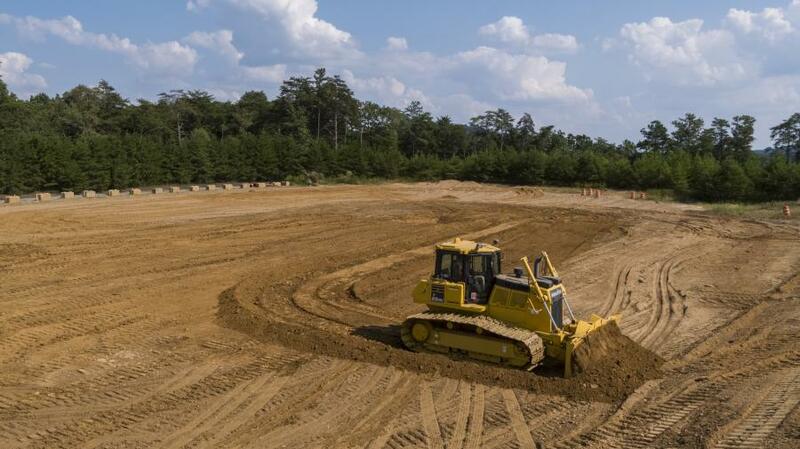 The mission of a dozer, on the other hand, is primarily to perform precision grading and push large amounts material, such as dirt, rock, sand and downed trees, during excavation. The tools used by dozer operators sound like something out of a horror movie. Bulldozers are high-functioning machines that wield blades and rippers, tools that work with surprising finesse and precision. The substantial metal blade on the front deftly pushes dirt, rock and rubble across earthmoving and land-clearing sites. At the rear of the machine is the ripper, a claw-like attachment that loosens densely compacted material. Rippers can come as a single shank or in groups of two or more. Usually, a single shank is preferred for heavy ripping, such as breaking surface rock or pavement into small rubble to make it easy to haul away so that grading can take place. The most common blade currently used by bulldozers is the six-way blade, which is located inside the machine's steering carriage and allows an operator to maneuver the tool up, down, tilt-left, tilt-right, angle-up and angle-down. Other common blade configurations are the full-U, semi-U and straight tools. 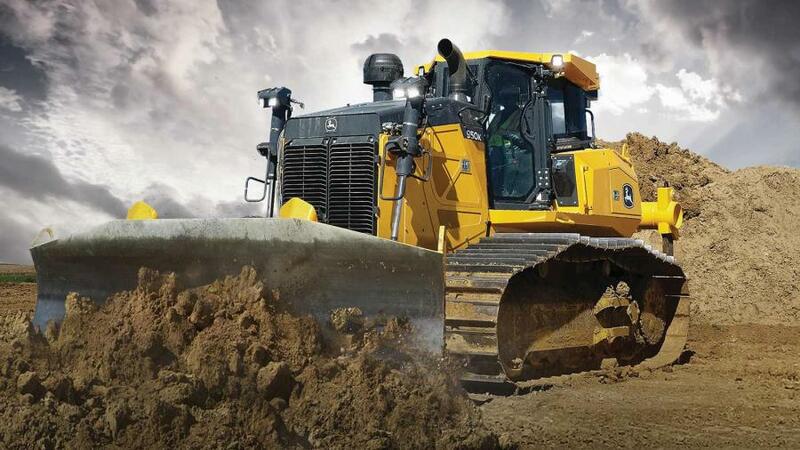 Among the companies that design and build the best bulldozers today are Caterpillar, John Deere, Komatsu and LiuGong Dressta, a relative newcomer to the North American marketplace. Bulldozer tracks are noted for their excellent ground-holding capability and mobility. In addition, a dozer's track helps distribute the machine's weight over a large area, which decreases ground pressure and helps it move more easily through soft earth. But today's dozers are much better than in decades past at performing a task no other machine can. 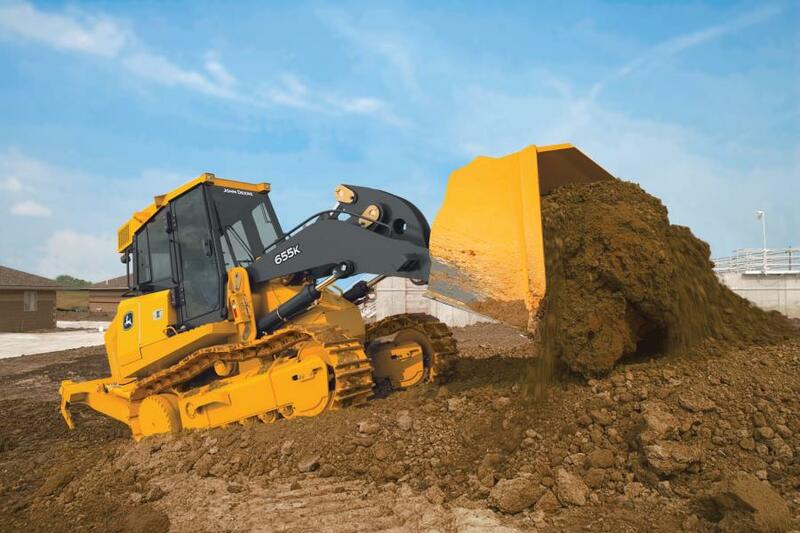 “Well, certainly, grade control has been the most impactful technological advancement in dozers over the past decade,” said Chris Schaub, product consultant of crawlers at John Deere Construction and Forestry. Other bulldozer manufacturers agreed that grade-control technology is the greatest leap forward in recent years for most contractors in terms of improving productivity, while lowering costs. 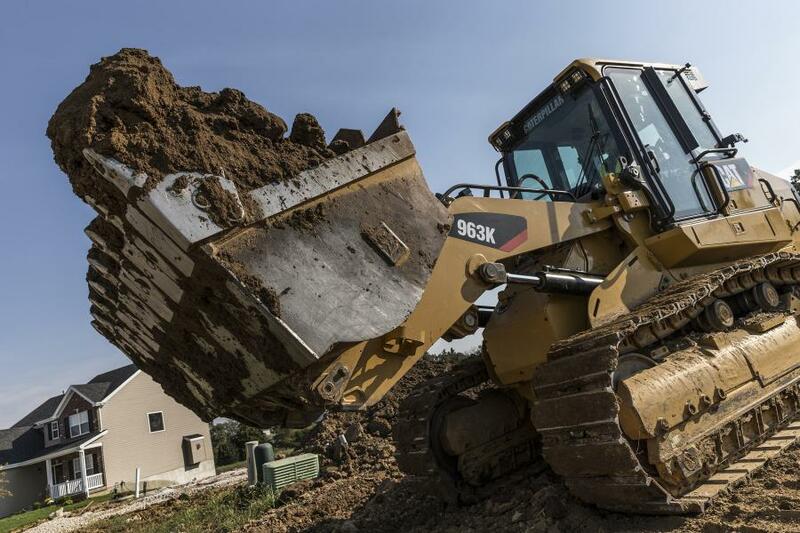 “There is no question dozers are increasingly performing more finish-grading work,” explained Charles Murawski, product manager of bulldozers at Komatsu America. 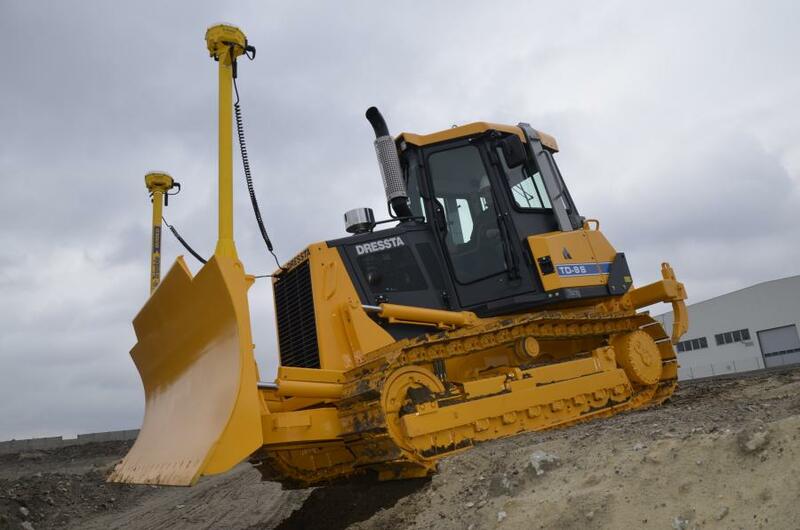 “At Komatsu, we have recently introduced the D65PX/PXi-18 with its wide power-angle tilt blade, 36-inch-wide track shoes and long 10-foot, 9-inch track on ground. 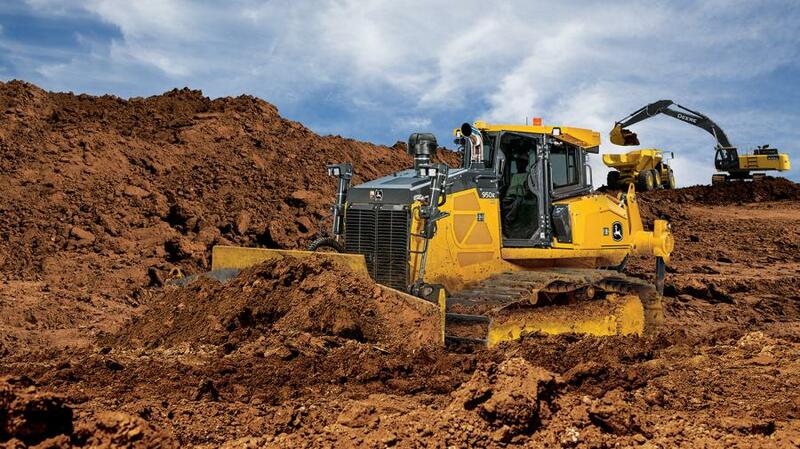 Another good example of the modern dozer is the new Cat D8T, which is engineered to move more material in less time, at a lower cost per ton, giving owners a faster return on their investment. Unveiled in June, the D8T features an all-new, fully automatic transmission capable of delivering up to 18 percent more productivity without consuming more fuel, as well as unprecedented ease of operation. Added blade capacity, increased power and steering performance, and a full range of technology options will likely help customers realize more productivity and a faster payback. 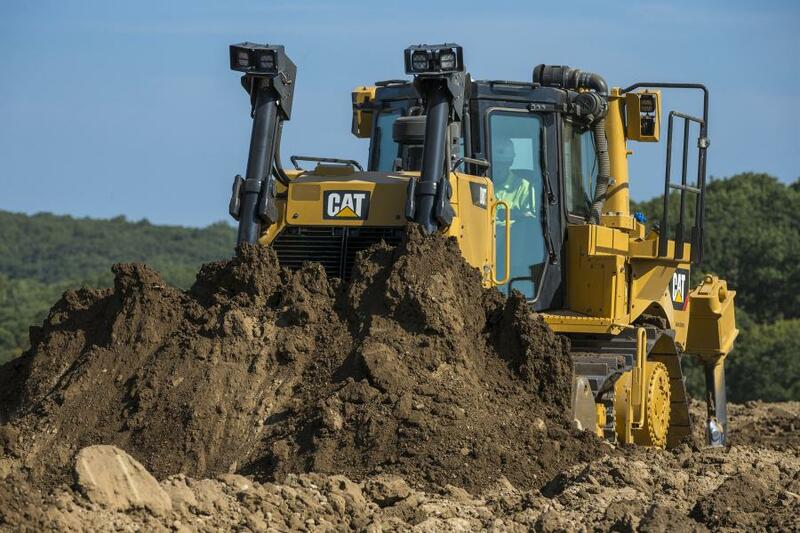 “Dozers, and track loaders are constantly evolving to match the customer needs,” said Sam Meeker, product application specialist at Caterpillar. “Every year, the key focus areas for our company are to make updates to machine power, efficiency, balance, steering, technology and operator comfort. Since 2013, when it was purchased by LiuGong, a Chinese equipment manufacturer, Dressta has been rapidly improving its dozer lineup to compete better with the larger and more established equipment makers. In that time, it has modernized its designs and made its machines more attractive to users. Those changes have increased the reputation of Dressta's bulldozers to the point that Watt said the midsized TD-15 is one of the most popular dozers in the United States in terms of sales volume. Designs and innovations that help crawler-machine operators do their jobs more easily while enjoying more comfort in a safe environment also are high priorities for product engineers. For instance, Komatsu's line of slant-nose dozers provides visibility across the entire width of the blade, Murawski said, thereby improving productivity — even while working around obstacles. In addition, all Komatsu dozers include a standard rear monitoring camera that provides an expanded field of vision. Komatsu's Komtrax telematics system, like that found in other dozers, includes fuel consumption reports, idle time and machine operation settings that can be used to benchmark, and subsequently initiate, changes that lower operating costs. Each dozer maker offers special application packages designed for different jobs, Murawski said. With their advanced hydrostatic drivetrain, John Deere dozers steer the same and maintain speed no matter the ground slope, giving the operator ultimate control, according to Schaub's colleague Nathan Horstman, who serves as John Deere's product marketing manager for bulldozers. “Additionally, our dozers have a counter rotate feature that enables extremely tight turns and allows the operator to overcome heavy corner loads and easily reposition the machine on the go,” Horstman said. Once thought to be nearing extinction a few decades ago after the introduction of hydraulic excavators, crawler loaders, with their greater lifting power and flexibility, have since proven to be more maneuverable and better suited to many projects. Compared with excavators, he added, crawler loaders can move more material per pass, allowing operators to spread material or load trucks over greater distances. Over the years, loaders have evolved into rear-engine hydrostatic machines, resulting in improved front visibility and maneuverability. Even though crawler loaders and bulldozers have long been used on hills and slopes, their ability to maintain stability, as well as maneuver over the terrain with little effort, has been a result of intense engineering efforts. Often working in tandem with bulldozers, crawler loaders can accomplish several different tasks beyond their primary function of moving and lifting materials. Crawler loaders also can be equipped with a variety of attachments. At Cat, for instance, the maker's Fusion coupler interface allows operators to quickly switch out attachments on the job, eliminating the need to drive pins in and out to swap tools that lift, haul, sweep or stack. Cat and John Deere are the leading makers of these reliable machines. The most important mechanism used by both bulldozers and crawler loaders is their undercarriage, a complex system that both supports and propels them. The various components that make up undercarriages include, first and foremost, the tracks themselves, which are made of either rubber or steel and guided along by grousers — devices that help increase traction and generally come in the form of flat plates or bars. But many other parts also can be found on an undercarriage, working synchronously to power the crawlers, including links, pins, bushings, sprockets rollers, idlers, shoes and frames. The maintenance of undercarriage systems, as well as the availability of their parts, is key to the bottom line of any contractor that uses tracked equipment. As much as half of a crawler's repair bill over its lifespan could potentially come from an undercarriage if it is not soundly maintained — a fact not lost on manufacturers, whose engineers are always thinking about how to build undercarriages to work more cost-effectively and keep repairs and parts replacements at a minimum. Dressta manufactures a full line of bulldozers, including the popular TD-8S, TD-9S and TD-15R EX models, and in the near future, Watt said, Dressta's engineers will introduce an improved undercarriage design that utilizes more of a free-floating, or bogie, suspension to give the operator a smoother ride, more drawbar pull, better performance and a longer overall undercarriage life. “That is a focus based on feedback from customers in the field to drive down owner/operator costs,” he said. Because of the wear and tear all tracked machines suffer during their working lives, manufacturers are searching for innovative ways to help keep the costs per hour low. As a result, most undercarriages are composed of modular parts that can be replaced quickly. 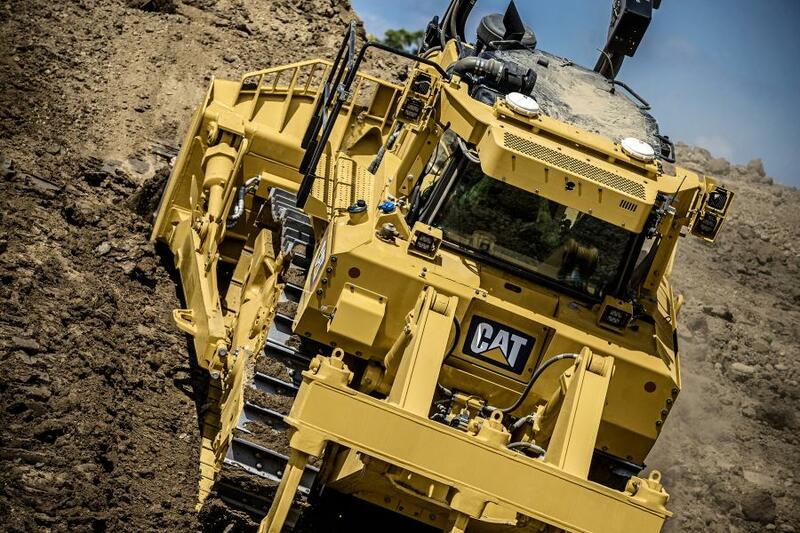 Meeker added that Cat undercarriage technology, like the overall design of crawler machines, will continue to evolve to give contractors better value.